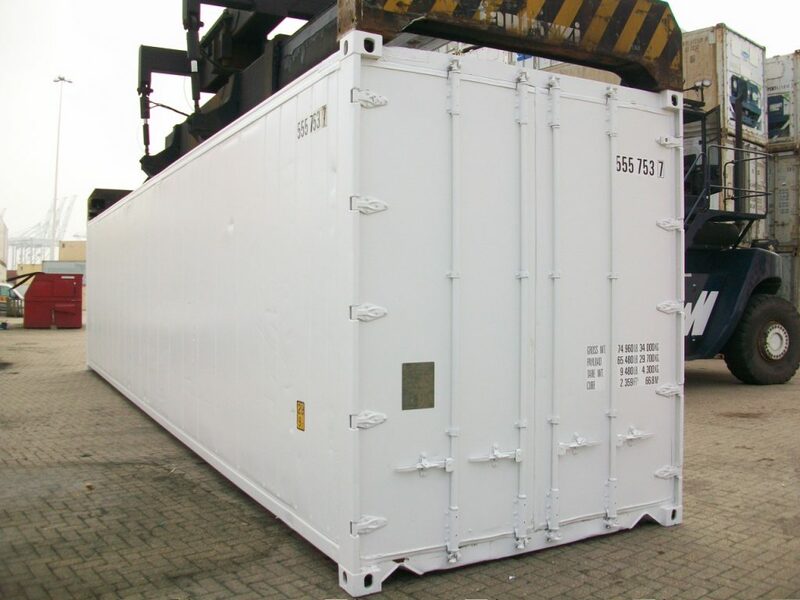 Insulated 40 ft sea containers, or non-operational shipping containers, are used to store large items to quantities of goods at cooler temperatures. Insulated containers consist of the same stainless steel walls and thick insulation of refrigerated containers, and are capable of maintaining a temperature approximately 15 degrees cooler in average weather. With the additional space of a 40 ft container, you can ensure that all your stock is kept in a suitable environment. These non-operational refrigerated high cube sea containers are reliable, weatherproof, vermin-proof, and built tough. The walls are made of tough corten steel, to provide superior protection for your goods and last you through the years.